Limerick on the publication of Edward Lear’s Views in the Seven Ionian Islands, 1863. Private Collection. 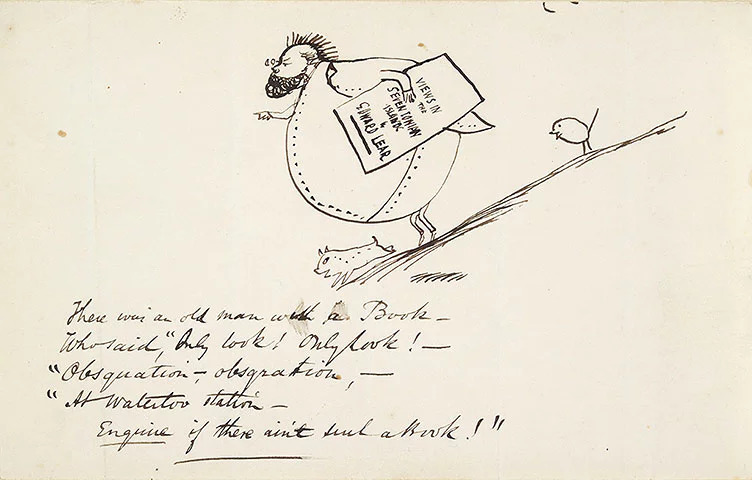 This entry was posted in Edward Lear and tagged Edward Lear, Limerick, picture stories, self caricature. Bookmark the permalink.